We have had these folks due a full kitchen and bath remodel as well as a tub surround and a shower stall over the years. I can’t say enough good about them. They cover everything for your life time. The few minor service calls for things like a shower head and caulking were covered at no charge. The rooms they remodeled are great and get nothing but compliments. If your thinking of remodeling the kitchen or bath give these guys a call! I visited their Showroom and was impressed immediately was greeted with a smile. I had the opportunity to meet with Steve and Barry and enjoyed our conversation. I really like working with local businesses that are family owned and operated. I highly recommend Patete!! Steve and Barry are amazing! The high quality of their work along with their attention to detail is a winning combination. I love that all of their cabinetry is custom…no generic, box-store options here. The staff is friendly, too. Highly recommended! We just had our kitchen totally renovated, our third time now using Patete. And once again they have done an amazing job! Patete had remodeled 2 of our bathrooms in the last five years, so we knew the professionalism and expertise they bring to their projects. Their entire staff is wonderful and their goal is to make sure that you are completey satisfied from beginning to end, and beyond! Calls are always returned promptly and any issues that arise are taken care of immediately. We absolutely love our new dream kitchen and couldn’t be happier! For over 58 years, Patete Kitchen & Bath Design Center has delivered the creative and professional services required by homeowners in Pittsburgh and nearby areas to help them realize their dream bathroom or kitchen. Our expert kitchen and bathroom designers use innovative methods to help create luxurious and functional rooms to fit each client’s specific needs. From installing a new bath to custom kitchen cabinetry, our experienced kitchen and bathroom experts will exceed your expectations when completing a bathroom and kitchen remodeling project. We can take your kitchen ideas and make them a reality to create a practical room in your home for everyone to enjoy. From beginning to end, we handle every aspect of your kitchen or bathroom remodel to ensure you are fully satisfied with our craftsmanship. Whether you are renovating multiple bathrooms in your home or want to add space to your kitchen, our experienced designers can create the kitchen or bathroom design using the latest fixtures and products available to help complement your new room. 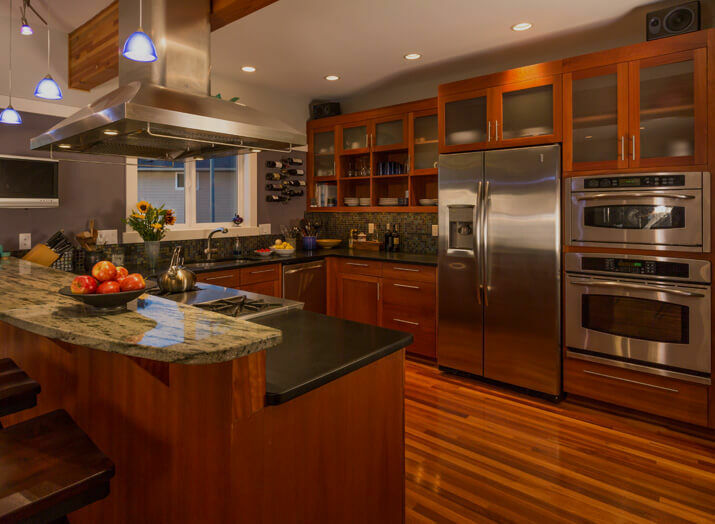 We offer unparalleled workmanship with the utmost professionalism throughout the whole process of creating your dream kitchen or bathroom. If you are looking for a way to make your bathroom or kitchen area functional, and to where it fits in with your home’s décor theme, our designers can help achieve your remodeling goals. Our team of experts can help you successfully modernize your bathroom and kitchen to meet your family’s specific needs.